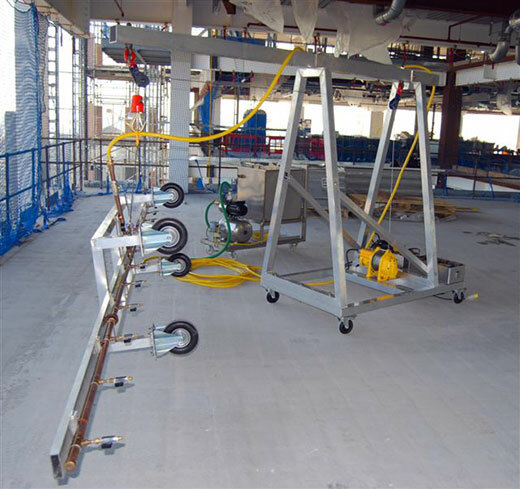 This method of testing is suitable for open – jointed systems (eg. 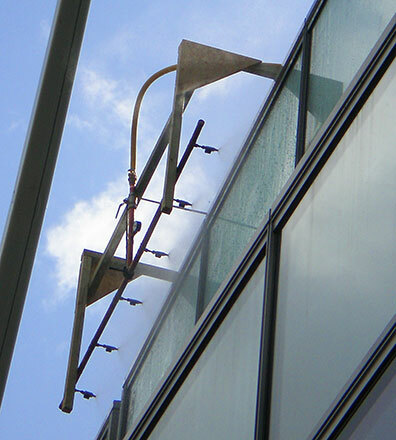 rainscreen cladding, unsealed patent glazing, opening lights/doors and smoke vents. 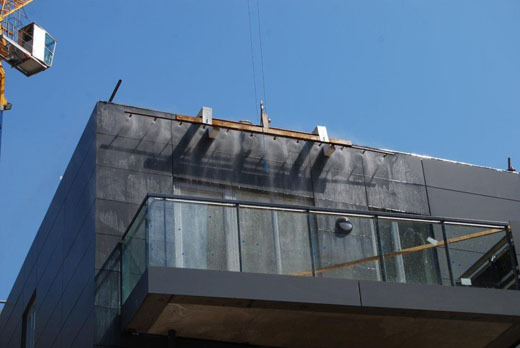 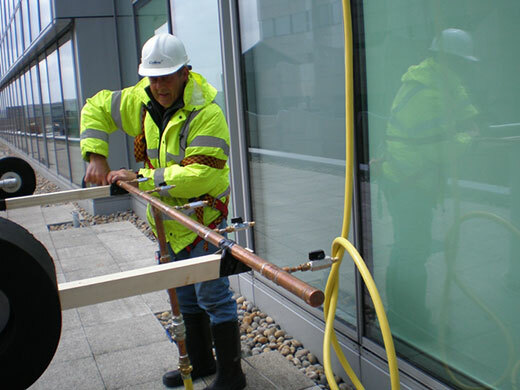 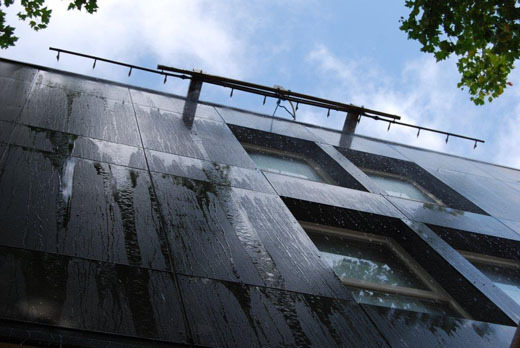 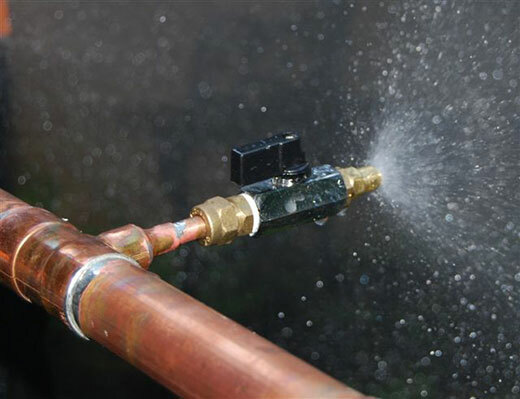 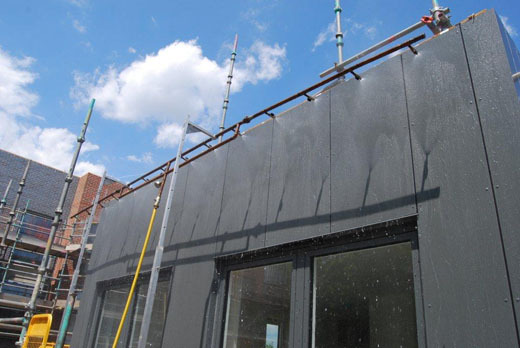 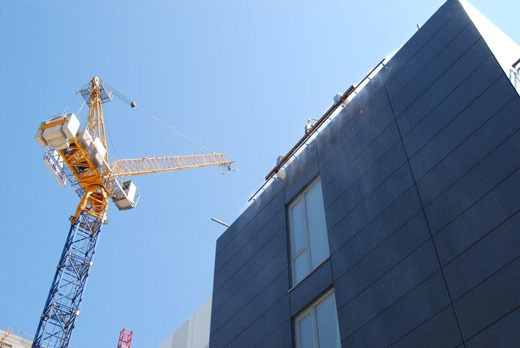 The flow rate and pressure is controlled to give a continuous film of water to the face of the cladding system, water is therefore not forced into the joints and reflects an accurate weather test of the system. 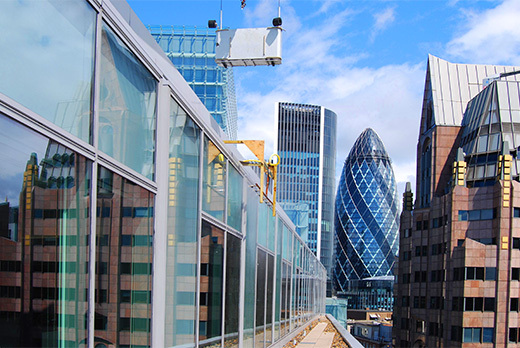 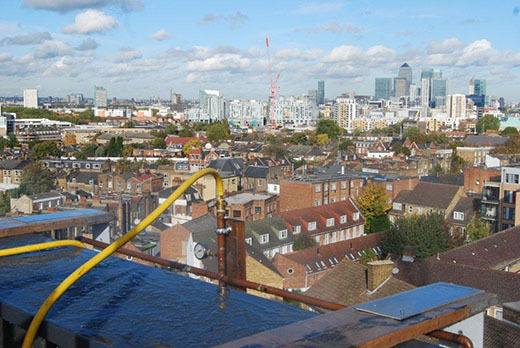 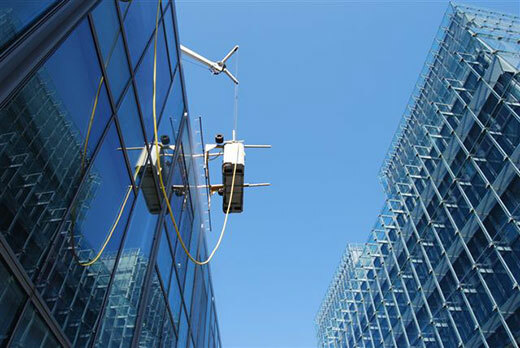 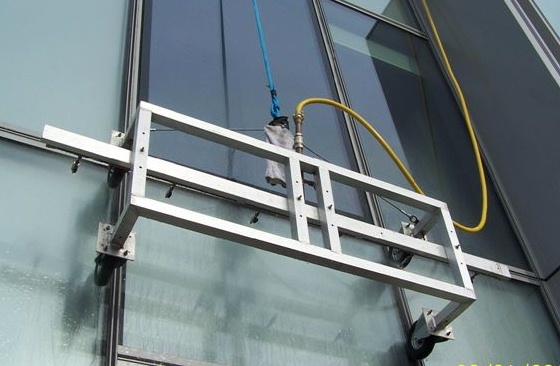 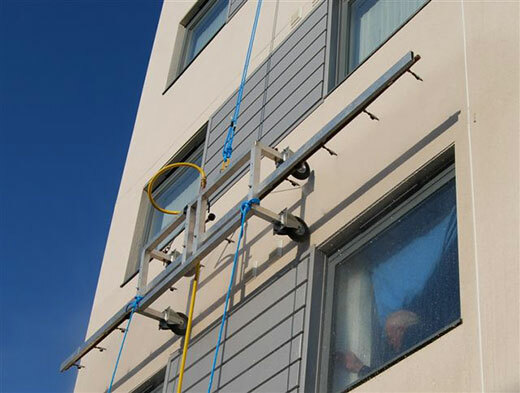 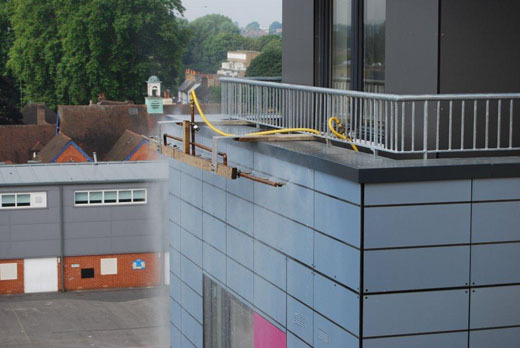 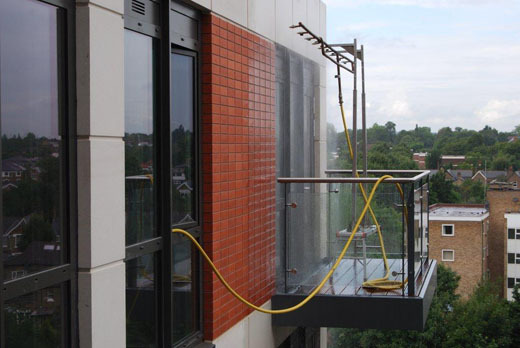 Our spray bar rig can be lowered up to 30 metres from the above floor slabs or roof areas testing vertically the cladding or on the sloped glazing systems. 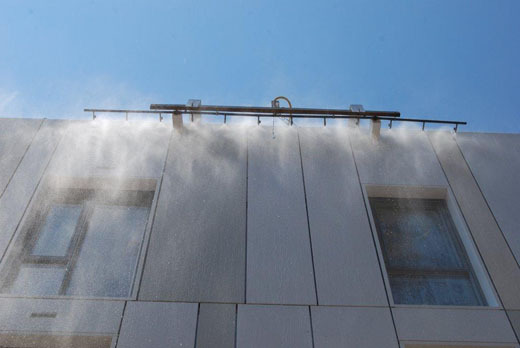 The standard spray bar spans 4.5 metres with 12 nozzles but can be modified to suit the requirements of the job profile.